With fixed index annuities, your money earns interest based on any positive changes to an external index, such as the S&P 500, over a set period of time. If the index goes up, you receive a portion of the upside. If the index falls, your contract value––including any interest you’ve earned in the past––is not affected. There are three basic types of crediting methods. Insurance companies use crediting methods to calculate how much interest your money has earned each year. In most cases, you get to select the method, or combination of methods, that you feel will work best for you. Each year, you can make changes to how your money is allocated per crediting method. 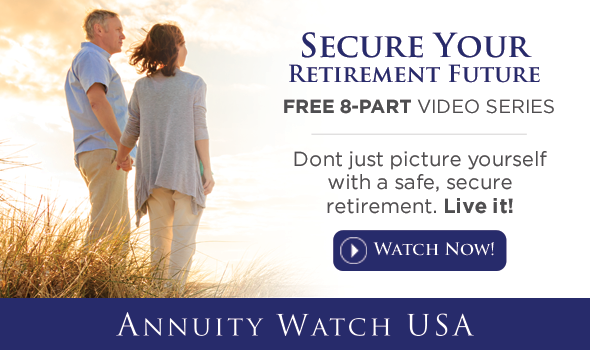 This provides you the ability to adjust your annuity portfolio, which, in certain market conditions, may be advantageous. This crediting method credits your annuity account the interest that is earned on market gains over the course of a 365-day period. You receive all of the index return up to whatever annual cap is specified in your contract. If the stock market goes up 12% and your contract specifies an 8% cap, you would be credited 8% of the market’s upside. If the index goes down over the course of the year, your account value loses nothing. Your principal plus any interest earned prior to that year is 100% protected. Monthly point-to-point tracks an index’ monthly percentage return, both positive and negative, subject to a monthly cap. Then, all 12 monthly percentage returns are added up. If the index’ performance is positive, interest earned for the year is calculated using this number. If its performance is negative you will not face a loss; you simply would not register a return for that year. At the end of each month the index value is recorded. Each of the 12 months’ value is added up and divided by 12. This determines the average monthly value for the year. That value is then divided into the start value of the index to determine the annual return. For example, if the market started at 10,000 and the monthly average for the year was 12,000, the annual return would be 8.33%. Depending on the insurance company, there can be a cap or spread, which may limit your participation in any gains. Once again, if the number is negative, your principal plus any interest earned prior to that year is 100% protected against stock market loss. On the annual contract anniversary, we review each of our clients’ accounts––by phone or face-to-face––and provide recommendations on how best to take advantage of market performance potential.